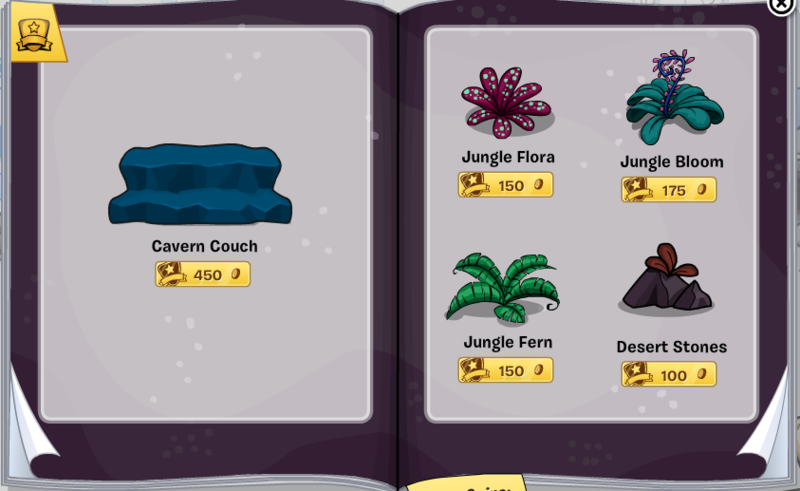 Every month Club Penguin releases a new fureniture catalog featuring new furniture items that can be placed in your penguins igloo. Usually the items are themed with whatever event/party is coming soon or for a party that has already begun. 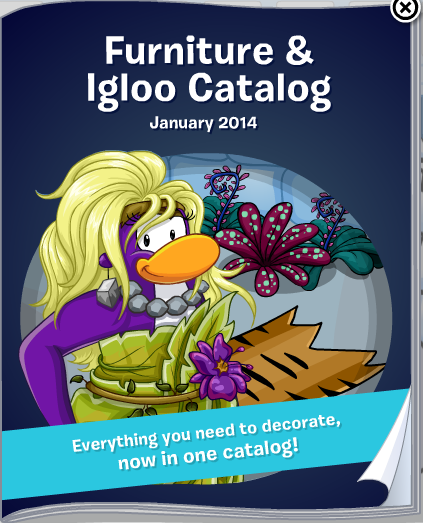 Before we get started I would like to point out that there used to be a catalog for igloos and a catalog for furniture but now Club Penguin has decided to combine the catalogs into one. I think this is better so everything is more organized in one spot. Anyways, let's get to the catalog. Alright so this is something new. Members can buy something called a Dino Dig Site and have their igloo put on a Digloo list. Since this is new I have no idea what this item does but I'm excited to find out! 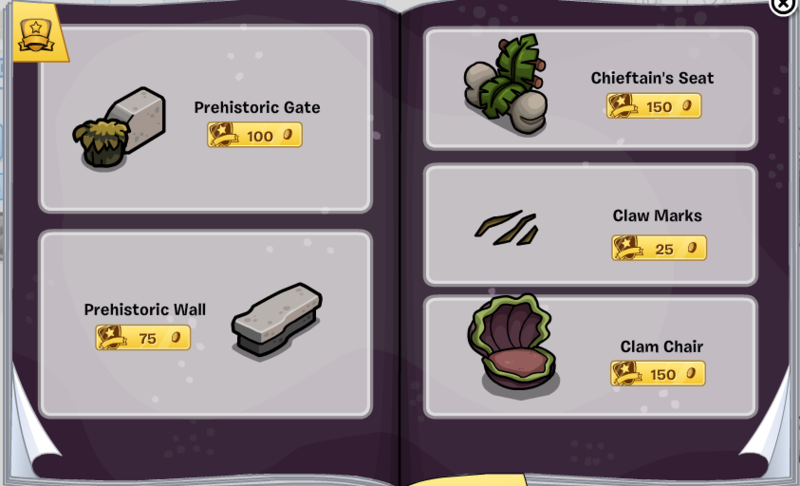 On this next page we have some prehistoric themed items for igloos. The hidden item on this page is located on the Fish Fossil item. Now we see some more prehistoric themed items. I see two glass tables....did they even have glass in the prehistoric era? Anyways, the secret item is hidden on the Designer Log Stool. Again, more prehistoric themed items. Unfortunately, there is no hidden item on this page. On this next page there are also no hidden items. Want to add some green to your igloo? This page is for you! I think these plants have been released before but if you didn't buy them then now is your chance.